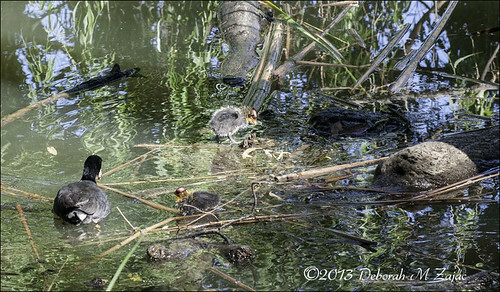 American Coot and Chicks, originally uploaded by CircadianReflections Photography. I heard these were in nearby local park, so I went to find them. They’re so ugly they’re cute! I saw only 3 chicks on this outing, but I went back this morning and there are 5 chicks!